The role of lawyers in defending the rule of law in a democracy will be highlighted this week at a special conference in Belfast to mark European Lawyers Day which is taking place on Thursday 25th October 2018. 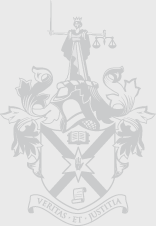 Now in its fourth year, the conference, which is hosted by the Law Society of Northern Ireland, provides an opportunity to mark European Lawyers Day by highlighting the legal profession’s significant contribution to the rule of law and justice system throughout Europe. 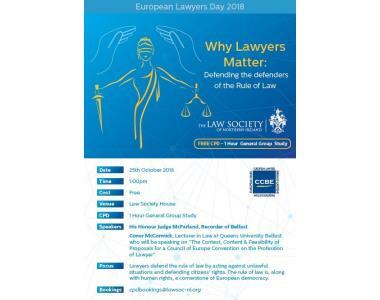 The Society has been working in conjunction with other members of Council of Bars and Law Societies of Europe (CCBE) to actively promote the overarching theme of European lawyers Day of: Why Lawyers Matter: Defending the defenders of the Rule of Law. Those attending the conference will have an opportunity to hear from a number of key note speakers including His Honour Judge McFarland, Recorder of Belfast and Conor McCormick, Lecturer in Law at Queens University Belfast. 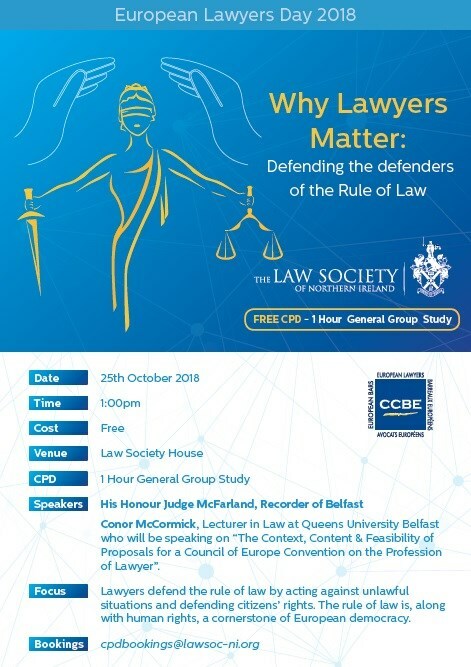 “The Law Society is delighted to have hosted this conference which is both timely in the context of the changing nature of politics within Europe and important in highlighting the invaluable work which lawyers provide in defending the rule of law and human rights often at considerable risk to themselves”.